Nicholson, Norman L.. "Boundaries". The Canadian Encyclopedia, 08 June 2017, Historica Canada. https://www.thecanadianencyclopedia.ca/en/article/boundaries. Accessed 19 April 2019. The political boundaries that are of concern to Canada today are the international boundaries primarily with the US and Greenland and, because they are of more than local importance, the boundaries of the provinces and territories. The evolution of both types involved 2 distinct stages. After political decisions were made on the allocation of territory, such territories were delimited and the boundaries described in state documents. Then, usually some time later, the boundaries were surveyed and marked on the ground (the process of demarcation). 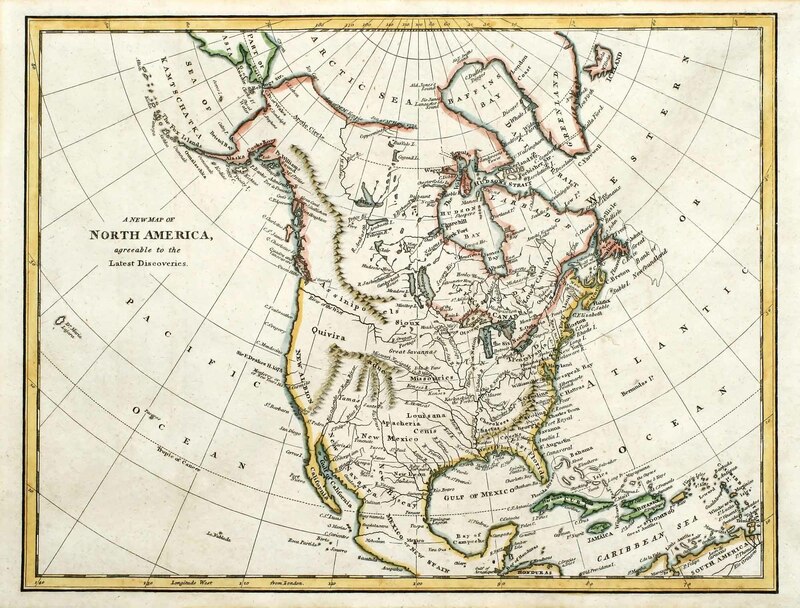 The beginnings of international and internal boundary delineations can be traced to the Treaty of Paris (1763), which produced a great rearrangement of boundaries in N America. For this reason the Seven Years' War (1756-63) between Britain and France, which immediately preceded the treaty, is sometimes called the "War of the Boundary Lines." All of eastern N America except Saint-Pierre and Miquelon became British, and the boundaries of the various colonies were adjusted to accommodate the changed circumstances. Later, as a result of the American Revolution, the colonies S of Newfoundland, Nova Scotia and the Province of Quebec, as well as that part of Quebec between the Ohio and Mississippi rivers, were lost to Britain, and thus Canada's present boundaries with the US began to emerge after the Treaty of Paris (1783). 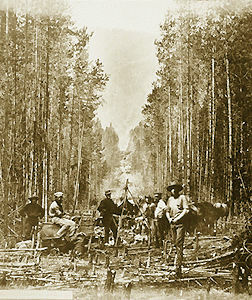 Cutting on the 49th parallel, on the right bank of the Moyie River, looking west, 1860 (courtesy North American Boundary Commission). In 1783 the boundary between the US and British North America was described as running from the mouth of the St Croix R on the Bay of Fundy to its source, thence along a line drawn due N to the "northwest angle" of Nova Scotia (today northwestern NB), thence along the watershed between the Atlantic and the St Lawrence to the northwest head of the Connecticut R, from there along that river to 45° N and along this parallel to the St Lawrence R. The boundary continued up the St Lawrence and through Lk Ontario, the Niagara R, Lk Erie, Lk St Clair, Lk Huron and Lk Superior to the Pigeon R, and thence to Lake of the Woods. From the northwest point of that lake the boundary was to run due W to the Mississippi R.
This description, based on a map of N America first published in 1755 by John Mitchell, and inaccurate in many respects, led to at least 9 boundary problems. In 1794 Jay's Treaty began to clarify these problems. The first controversy developed over the exact location of the St Croix R because 3 rivers existed where the Mitchell map showed only 2. Arbitrators favoured what is now the Schoodic R, but it had 2 branches, and when the eastern branch was selected, a line drawn N from it almost cut off the Maritime provinces from Lower Canada. Commissions and arbitrations in 1814 and 1831 could not reach an acceptable solution. During the following period of tension, a clash occurred between lumbermen from NB and Maine in the disputed area (see Aroostook War). The dispute ended only when a compromise was reached through the Ashburton-Webster Treaty of 1842. Another difficulty developed when it was discovered that a line drawn due W from the northwestern point of Lake of the Woods did not encounter the Mississippi R, which rose farther S than was indicated on the Mitchell map. This difficulty was resolved by the Convention of 1818: the Forty-Ninth Parallel, accepted as the southern boundary of the Hudson's Bay Company's territories between Lake of the Woods and the Rocky Mts, very roughly approximates the northern watershed of the Mississippi-Missouri drainage system embraced by Louisiana Territory, which had been acquired by the US from France in 1803. West of the Rocky Mts the British were unwilling to relinquish control of the Oregon country then in the hands of the HBC. Britain and the US therefore agreed to occupy Oregon jointly for 10 years. In 1827 this compromise was reaffirmed for an indefinite period. However, in the 1840s American settlers in large numbers began to enter the area and demand exclusive US jurisdiction as far N as 54° 40´ N, the southern limit of Russian territory on the Pacific coast. Although "fifty-four forty or fight" became an American election campaign slogan in 1844, the British proposal to divide the area by extending the boundary along the 49th parallel westward to the coast and then through the Str of Juan de Fuca was incorporated into the Oregon Treaty 2 years later. This treaty did not precisely describe the water boundary, and further controversy was ultimately resolved by arbitration in 1872 (see Treaty of Washington). The boundary between Russian and British territory was described in 1825, well before the American purchase of Alaska in 1867. The 141st meridian was chosen as the northern part of the boundary, probably because it ran N from Mt St Elias, one of the few outstanding and unmistakable features in a relatively unknown area, and because it separated the maritime interests of the Russians from the land interests of the HBC. South of Mt St Elias to Prince of Wales I, Russian territory extended inland from the coast for 10 marine leagues (about 55.6 km). Difficulties in interpreting the exact location of this boundary arose after the Klondike Gold Rush. The crucial question was whether the Anglo-Russian Convention of 1825 called for a boundary drawn around the heads of the coastal inlets (favoured by the US), or one which followed the summits of the mountains paralleling the general trend of the coast and cut across all inlets and fjords (which Canada advocated). The problem was referred to a joint commission and later a tribunal, which described the boundary as it still exists today (see Alaska Boundary Dispute). The boundary follows the American contention, so the Alaska Panhandle shuts Canada off from direct access to the Pacific Ocean in the north and is regarded as one of the circumstances limiting the development of mining and hydroelectricity in northwestern BC. With this dispute resolved Canada and the US share the world's longest boundary at 6420 km. Between 1870 and 1880 Canada's northern limits coincided with those of the former HBC territory. Britain transferred its rights to the arctic islands to the federal government. In 1907 the claim to the sector between 141° W and 60° W was first made, although it was not officially supported until 1925. The dividing line or "line of allocation" between Canada and Greenland from 61° N northward was agreed upon with Denmark in 1974. Canada's seaward limits embrace the territorial sea and, since the passage of the Act to Amend the Territorial Sea and Fishing Zones in 1970, extend to 12 nautical miles (24.2 km) of the baselines on the coast. The most notable exceptions are in the Arctic, where Canadian sovereignty includes the waters between islands. Canadian coastal fishing zones extend seaward 200 nautical miles (about 371 km), as do those of many other nations. The present-day boundaries of NS, PEI and NB resulted from circumstances that were significant only when these regions were created British colonies in the 18th and 19th centuries. After 1763, Nova Scotia included the present provinces of Prince Edward Island and New Brunswick. Prince Edward Island, practically deserted by the French by that time, was resettled, but the inconvenience of having to refer judicial and legal matters to Halifax and the relative inaccessibility of the island, especially in winter, resulted in a separate government in 1769. After the American Revolution, thousands of Loyalists moved into the Saint John R valley and along the N shore of the Bay of Fundy. They also created administrative and judicial problems, and so New Brunswick was created a separate province in 1784 with a southern boundary across the Chignecto Isthmus from Cumberland Arm to Baie Verte. Almost all of Labrador has been under the jurisdiction of Newfoundland since 1763, except from 1774 to 1809 when it was governed from Québec. But its boundaries on the landward side were never precisely delimited, and in 1902, when Newfoundland granted timber-cutting leases in the area between Lk Melville and Grand Falls (now Churchill Falls), Québec maintained that the area was properly under its jurisdiction. The federal government believed that Labrador extended only one mile (1.6 km) inland from the high-water mark along the coast. In 1927 the Judicial Committee of the Privy Council decided that the boundary for the most part followed the watershed of those rivers flowing into the Atlantic Ocean. In the S, however, the boundary runs N from a point just E of Blanc Sablon to 52° N, thence westward to and up the Romaine R to the watershed portion of the boundary. This means that the headwaters of such rivers as the Romaine, Natashquan, Petit Mécatina, St-Augustin and St-Paul which drain through Québec into the Gulf of St Lawrence are in Newfoundland (see Labrador Boundary Dispute). 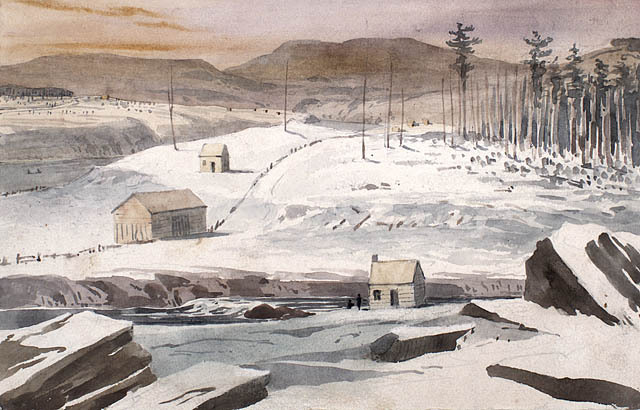 Québec, like Nova Scotia, became the home of thousands of Loyalist refugees. Most settled along the N shores of the St Lawrence R and Lakes Ontario and Erie in the area between Montréal and what is now Windsor, Ont. The French Seigneurial System of land tenure was unfamiliar to these newcomers, who were accustomed to holding their land in free and common socage (ie, leasing or renting the land). They also resented the absence of popular government, delays in administration owing to the great distance from Montréal to Windsor, the lack of any connecting road, and the tedious, precarious (and, during the winter, nonexistent) water route linking them. Petitions for their own government were heeded, and in 1791 the province was divided into Upper Canada and Lower Canada. The boundary between them ran northward from the St Lawrence R, following the westernmost limits of the seigneuries to and up the Ottawa R to Lk Timiskaming, and then due N to HBC property. However, this arrangement was not entirely satisfactory, largely because the trade of both provinces was through the St Lawrence and because the division of revenues caused dissatisfaction. In 1841 the 2 provinces were united into the Province of Canada. Following the passage of the British North America Act of 1867, the Province of Canada was divided into the provinces of Ontario and Québec by the same boundary that had been established in 1791. Their northern limits followed the watershed of the rivers draining into the Great Lakes-St Lawrence system. When Rupert's Land was acquired by the federal government in 1870, and the province of Manitoba was created from part of it, both Manitoba and Ontario claimed the area between Lake of the Woods and what is now Thunder Bay. 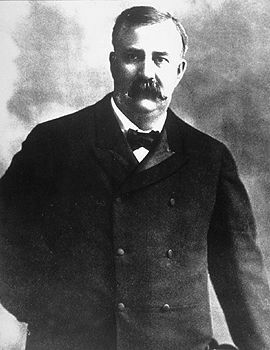 The controversy was not settled until 1889, when the boundary of Ontario was extended northward generally to follow a series of lakes and waterways and the Albany R to James Bay. Similarly, in 1898 the northern boundary of Québec was extended northward to follow the Eastmain R and a series of smaller waterways to the boundary of Labrador. The colony of Vancouver's Island was established in 1849. Soon after, Gold Rushes on the mainland led to the establishment of the colony of British Columbia in 1858 and Stickine Territory in 1862. All 3 were united into British Columbia in 1866 with boundaries as they now exist. The boundaries were intended to embrace all the rivers and creeks from which it was thought that alluvial gold might be obtained, not only to control the mining itself, but so that proper jurisdiction might be exercised over miners. Similar considerations later led to the boundaries of the Yukon Territory, which were first established in 1895. Substantial sections of the eastern boundaries of BC and the Yukon followed the watershed of those rivers draining into the Pacific Ocean. Meanwhile, the North-West Territories were being peopled and more of the area came to be divided into provisional districts for administrative and postal purposes - the District of Keewatin in 1876; Saskatchewan, Assiniboia, Alberta and Athabaska in 1882; followed by Ungava, Yukon, Mackenzie and Franklin in 1895. Their boundaries were almost invariably straight lines and were expressed in terms of the Dominion Lands Survey system devised to facilitate settlement. By 1905 much of the area was deemed ready for provincial responsibilities. It was felt that the area N of 60° was unfit for agriculture, without which there could be little hope of the "thick and permanent settlement" necessary for stable provincial government, and that the area S of this parallel was too large for a single province when compared with the other provinces. Most of the southern area was therefore divided by the 110° W into 2 provinces of approximately equal size when Alberta and Saskatchewan were established in 1905. The fact that these two provinces extended 60° N encouraged Manitoba, Ontario and Québec to request northward extensions. Both Manitoba and Ontario claimed the area between the Albany and Churchill rivers. In 1912 the boundary divided this area more or less equally between them, the extensions came into force, and Québec was extended northward to the shores of Hudson Str and Hudson Bay. Near the end of the 20th century what remained of the northern territory (now the Northwest Territories) was divided into 2 as the result of land claim negotiations. The new territory, Nunavut (which means "our land" in Inuktitut), came into being in 1999. The boundary with the Northwest Territories generally follows the treeline with Nunavut lying to the north and northeast. Most of the Arctic Archipelago became part of the new territory except for all or parts of 4 islands in the southwestern part of the archipelago. The demarcation of Canada's boundaries began in 1771 when the 45th parallel was marked as a boundary between Québec and New York. But the work was crude and the need to resurvey was accentuated by the American Revolution when this boundary, originally between British provinces, became an international boundary. The demarcation of Canada's international boundaries was largely completed by 1913. The methods varied from region to region. The earliest boundaries in forested areas were merely compass lines marked by blazes on trees or by heaps of stones. In the prairie West they were mounds of sand or grass sod and later iron posts. Where a boundary crossed wooded land, a path or "vista" was usually cut on each side of the surveyed line. Provincial boundaries are marked in a similar way but their demarcation proceeded more slowly, usually only when it was administratively expedient. By 1962 the establishment of boundaries had essentially been completed, except for the disputed Québec-Newfoundland boundary. H.G. Classen, Thrust and Counterthrust (1965); H. Dorion, La Frontière Québec-Terre-Neuve (1963); Energy, Mines and Resources Canada, "Canada Then and Now" in The National Atlas of Canada (5th ed, 1982); J.A. Munro, The Alaska Boundary Dispute (1970); N.L. Nicholson, The Boundaries of the Canadian Confederation (1979).